On 27 September 1952 Harold married Eileen Margaret Downing at St Andrew’s Church of England, Walkerville. He took over the family property, Glenayr, from his father in 1953. In favour of organised marketing, Young, who felt farmers were being exploited by wheat agents and merchants, soon became active in the politics of the wheat industry. From 1959 to 1965 he was on the executive of the central council of the South Australian Wheat and Woolgrowers’ Association (SAWWA), serving as vice-president from 1963 until 1965. In 1958 the SAWWA had appointed him as its representative on the Australian Wool and Meat Producers’ Federation (AWMPF). He also became involved in the amalgamation between the SAWWA and the South Australian branch of the Australian Primary Producers’ Union in September 1966, when the two became the United Farmers and Graziers of South Australia (UFG). Between 1966 and 1967 Young was joint vice-president of the UFG, serving also on its finance and administration committee and its governing council. Between 1960 and 1968 he was a representative of the AWMPF on the Federal Exporters Oversea Transport Committee, attending meetings in Sydney once a month, and one in London in 1965. In addition, he was on the South Australian State Wheat Industry Research Committee (1965–67), and from 1964 to 1966 AWMPF representative at the Australian Wool Industry conference. All this work for farmers’ groups, and his close knowledge of the wheat stabilisation scheme (established in 1948), made Young a likely candidate for federal politics. Between 1962 and 1968 he represented the Liberal and Country League (LCL) Wallaroo district committee on the state executive, and was president of the Alford branch of the LCL in 1967, attending the party’s state council meetings in Adelaide. In 1966 Young received a telephone call from the MHR for Wakefield, Bert Kelly, inquiring as to whether he was standing for the Senate. Young pointed out that no one had asked him. Kelly replied, ‘well, I’m bloody well asking you now’. Preselected in March 1967, he was placed third on the LCL ticket. A highly personable man, and aware of local conditions and the pressures on farmers, he would hop onto a tractor while he talked to individual farmers. At the half-Senate election of November 1967 he narrowly secured the fifth seat with the help of Democratic Labor Party preferences, the first time in twelve years that the LCL had won the fifth seat from Labor. He was sworn on 13 August 1968. The following year he moved to Adelaide. In his first speech Young spoke of the importance of agriculture for the economy, pointing out that, unlike the manufacturing industry, which benefited from the tariff, primary industry could counter costs only by increased production. He hoped that containerisation would reduce freight rates. He favoured the construction of the Chowilla Dam. A keen committee man, he quickly became a member of the Select Committee on Off-shore Petroleum Resources, of which he was appointed chair in April 1971. As the committee addressed the controversial issue of federal and states’ rights regarding the Australian continental shelf, Young gained some knowledge of the international law of the sea. He was a founding member of the Standing Committee on Primary and Secondary Industry and Trade in 1970 (renamed in April 1972 the Standing Committee on Industry and Trade). He served as Whip for the Government from August 1971 and then, after the change of government in December 1972, for the Opposition, until March 1975 when Malcolm Fraser appointed him shadow minister for the media. Young later described the work of a whip as the link between the ministry and the backbench, and at times that of a peacemaker, roles he filled with apparent ease. Young protested vigorously against aspects of ALP policy, especially postal charges and the abolition of the subsidy on superphosphate. He declared himself sick of ‘belly-aching pommy shop stewards’. While a devoted party man, he had crossed the floor of the Senate on several occasions in 1970 and 1971, over his party’s failure to eradicate estate taxes. 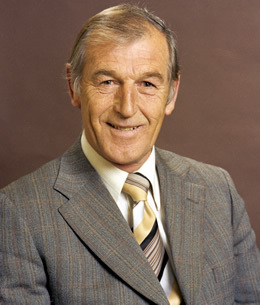 Young was a member of a number of government members’ (party) committees: foreign affairs and defence (1976–78); resources and trade (1976–81); resources and energy (1981) and tourism (1980–81). A strong advocate of uranium development, he and other Liberals such as Senator Teague were keen to establish trade relations with Taiwan, and may have influenced the opening of the Australian Commerce and Industry Office in Taipei in October 1981. Earlier, Young had travelled the world as a member of various parliamentary delegations, including to South-East Asia in 1970, and to London in 1974. He led Inter-Parliamentary Union (IPU) delegations to conferences in Madrid in 1976, and Sofia in 1977. In 1977 he also attended the European Parliament in Luxembourg. He led IPU delegations to Peru, Venezuela and Brazil in 1980, and to Nigeria, Zimbabwe, Kenya, Zambia, Ethiopia and Somalia in 1982. While in Zimbabwe, Young and Senator Sibraa were unsuccessful in their attempts to free six Western tourists, including two Australians, taken hostage in July 1982 by guerrillas rebelling against Robert Mugabe. On 18 August 1981 Young was elected President of the Senate, after winning the nominative vote in the Liberal party room over Senator Withers, a supporter of Andrew Peacock for Liberal leader. That Young then won the vote in the Senate was due to the support of the Australian Democrats, who, in return, demanded that the position of Deputy President should go to the ALP. In the event, Young served only two years as President. He told the state council of the South Australian Liberal Party that he would not seek re-election at the end of his six-year term, but that he was prepared to stand as a short-term candidate following the simultaneous dissolution of 1983. He was placed fifth on the party ticket for the election of 5 March, and was defeated in the landslide against the Fraser Government, his term as President concluding on 20 April 1983. Young was an effective President, whose rulings were well considered. For instance, on 20 October 1981, he ruled (in regard to financial legislation) that when a motion that a request be not pressed is negatived by a majority of the committee of the whole, the committee will resolve to press the request accordingly. On 12 November, in relation to the overriding rule that a question to a minister must seek information from within that minister’s responsibility, he ruled that when it is difficult for the chair to decide with which Senate minister responsibility should rest, it becomes the responsibility of ministers in the Senate to resolve the matter. Young was a positive force in a sometimes unruly Senate, his strength of character, personal integrity and goodwill earning him the regard of senators on all sides of politics. His contribution was summed up in 1983 by the new Leader of the Government in the Senate, John Button, who told Young: ‘I thought you conducted the business of the Chamber efficiently and fairly without the display of pomposity that sometimes goes with the office’. After leaving the Senate, Young returned to Canberra from time to time. A notable occasion was the opening of the new Parliament House by Queen Elizabeth II on 9 May 1988, which he attended with his wife. His interest in the new building went back to his tenure of the Joint Standing Committee on the New and Permanent Parliament House. He was an active member of the Association of Former Members of the Parliament of Australia, serving as vice-president from 1988 to 1993, and as president from 1993 to 1995 when he worked to continue his strong ties with Korea. In April 1982 he had been awarded the Order of Diplomatic Service Merit by the South Korean Government, for which, he confessed, he was ‘tickled pink’. Between 1999 and 2002 Young was South Australian representative on the Australian Bravery Decorations Council. He was appointed KCMG in 1982. Young died at his home in the Adelaide suburb of Glenunga on 21 November 2006, the Adelaide Advertiser commenting that in Parliament he was referred to as ‘Mr Nice Guy’. Margaret and their four children survived him. In the Senate, he is remembered as a gentleman in the best sense of the word, one who, after leaving the Senate, liked to drop in for a chat with former Senate colleagues. Audrey Peters and Helen Scarborough, Forever Young: The Story of William & Elizabeth Young and Their Descendants, Lutheran Publishing House, Adelaide, 1991, pp. 11, 13–15, 155, 178–9; Senate Registry File, A8161, S293, NAA; Harold William Young, Transcript of oral history interview with Ken Taylor, 1987, POHP, TRC 4900/97, NLA, pp. 1:1–3; Westbourne Park Infant School, Admissions registers, 1926–73, GRS 1864/1, entry 339, SRSA; Seven Cross Roads: Alford 1883–1983, [Alford School Council, Alford, 1983], p. 22; Prince Alfred College Chronicle (Adel. ), 1982, p. 137; Young, Harold William—Defence Service Record, B884, S73858, NAA; The editor acknowledges the assistance of Sonia Osborne, University of Adelaide. Peters and Scarborough, Forever Young, pp. 178–80; Young, Transcript, pp. 1:4–5; South Australian Wheatgrower (Adel. ), 23 Apr. 1959, p. 2, 7 Apr. 1960, p. 1, 6 Apr. 1961, p. 5, 5 Apr. 1962, p. 4, 28 Mar. 1963, p. 5, 9 Apr. 1964, p. 19; Australian Wool and Meat Producers’ Federation (AWMPF), Minutes, 1958, N77/252, 1960–64, N77/273, 1965–67, N77/274, 13 Feb. 1968, N77/274, NBAC, ANU; Farmer and Grazier (Adel. ), 11 Jan. 1967, p. 5; United Farmers and Graziers of South Australia, Annual report, 1967, p. 8; Wheat Research Act 1957, Annual reports, 1965–67; Australian Wool Industry Conference, Minutes of annual general meetings, 1964–66. Young, Transcript, pp. 1:15, 1:17; Liberal Party, SA division, Records, SRG 168/1/43, bundle 2, SLSA; Advertiser (Adel. ), 15 Mar. 1967, p. 3. CPD, 28 Aug. 1968, pp. 385–7; CPP, 201/1971, 2/1976; CPD, 17 Aug. 1971, p. 9; Age (Melb. ), 27 Mar. 1975, p. 1; Young, Transcript, pp. 2:17–18, 4:5. CPD, 3 Sept. 1975, pp. 534–6, 5 Mar. 1974, pp. 31–2, 28 May 1975, p. 1962, 14 May 1970, pp. 1485–7, 1499–1500, 18 May 1971, pp. 1980–3. Advertiser (Adel. ), 21 July 1978, p. 8; CPD, 29 Aug. 1979, pp. 354–5, 29 May 1973, p. 1945, 21 Apr. 1980, pp. 1581–2, 27 Nov. 1980, p. 203; Gary Klintworth, Australia’s Taiwan Policy 1942–1992, Australian Foreign Policy Publications Programme, ANU, Canberra, 1993, pp. 75, 78; Commonwealth Parliamentary Association, Commonwealth of Australia branch, Annual report, 1973/74; CPP, 128/1971, 419/1976, 11/1978, 453/1980, 456/1982; CT, 28 July 1982, p. 3. Senate, Journals, 18 Aug. 1981, pp. 415–16; Advertiser (Adel. ), 28 Aug. 1981, p. 4; SMH, 17 Aug. 1981, p. 1; G. S. Reid and Martyn Forrest, Australia’s Commonwealth Parliament 1901–1988: Ten Perspectives, MUP, Carlton, Vic., 1989, p. 44; Australian (Syd. ), 18 Aug. 1981, p. 1; Advertiser (Adel. ), 22 Dec. 1982, p. 3; Australian (Syd. ), 14 Feb. 1983, p. 5; Advertiser (Adel. ), 7 Mar. 1983, p. 8; CPD, 21 Apr. 1983, p. 6, 3 May 1983, pp. 132–3; Harry Evans (ed. ), Odgers’ Australian Senate Practice, 12th edn, Department of the Senate, Canberra, 2008, pp. 307, 501; Letter, Senator John Button to Young, 22 Mar. 1983. Detailed Report for Opening Day Ceremony and Reception, A9259, 2, NAA; Federal Gallery, Newsletter of the Association of Former Members of the Parliament of Australia, June 1993, p. 1, June 1994, p. 26, Mar. 1995, pp. 1–2, 5–6; Advertiser (Adel. ), 31 Dec. 1982, p. 1; The editor acknowledges the assistance of Don Morris; Advertiser (Adel. ), 9 Dec. 2006, p. 86, 23 Nov. 2006, p. 13. This biography was first published in The Biographical Dictionary of the Australian Senate, vol. 3, 1962-1983, University of New South Wales Press Ltd, Sydney, 2010, pp. 242-245.